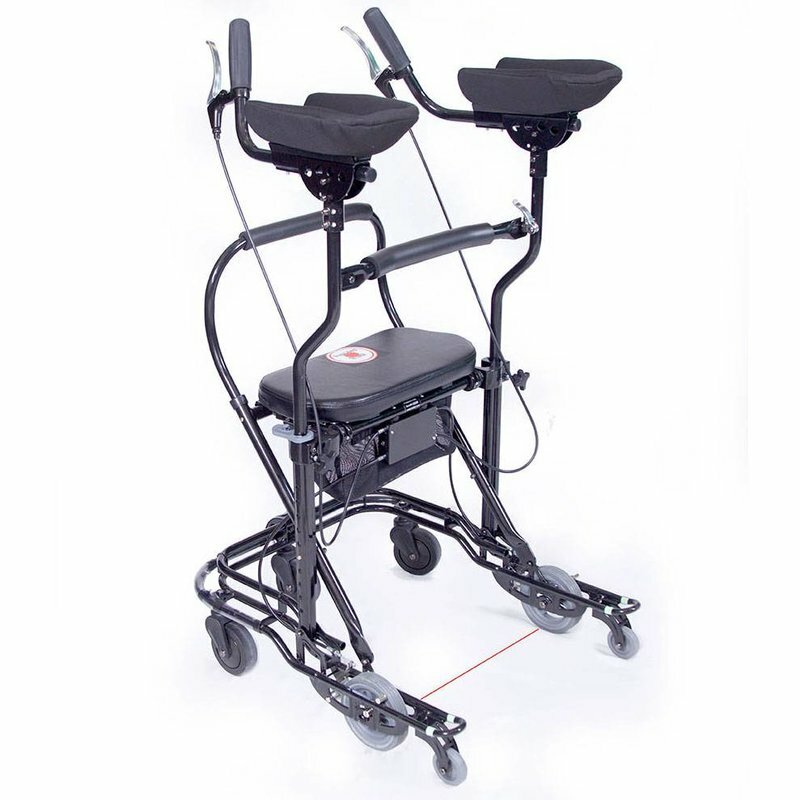 The Platform version of the U-Step 2 is often used by those unable to use both hands or those who are unable to stand up straight while they walk. 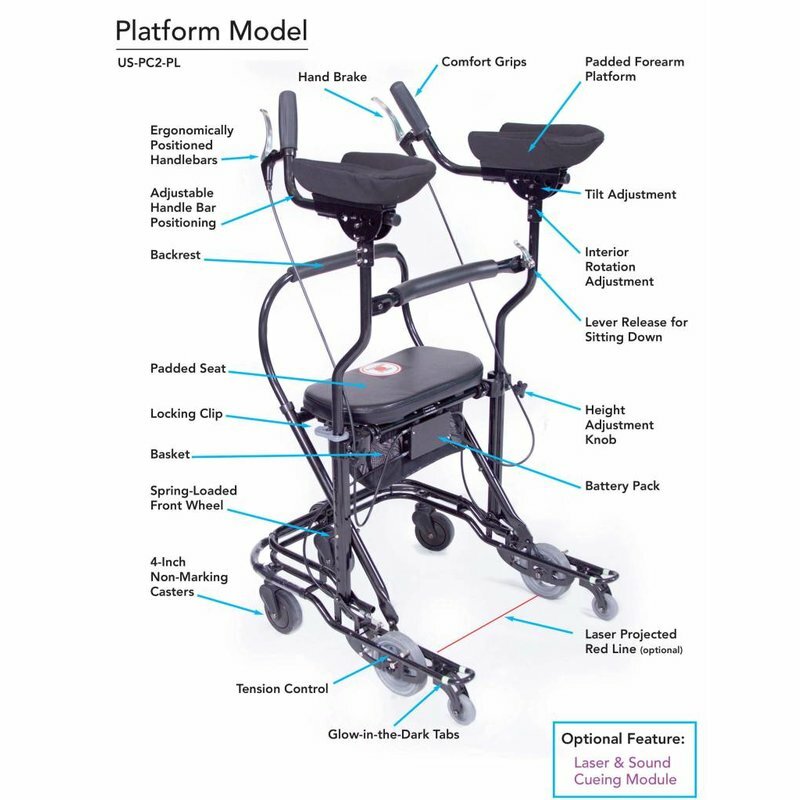 Standard (5'2"-5'11" tall) 22" seat height; platforms up to 46"
Small (4'3"-5'2" tall) 19" seat height; platforms up to 43"
The Platform version of the U-Step 2 is often used by those unable to use both hands or those who are unable to stand up straight while they walk. Commonly prescribed for those with Brain Injuries or Stroke. 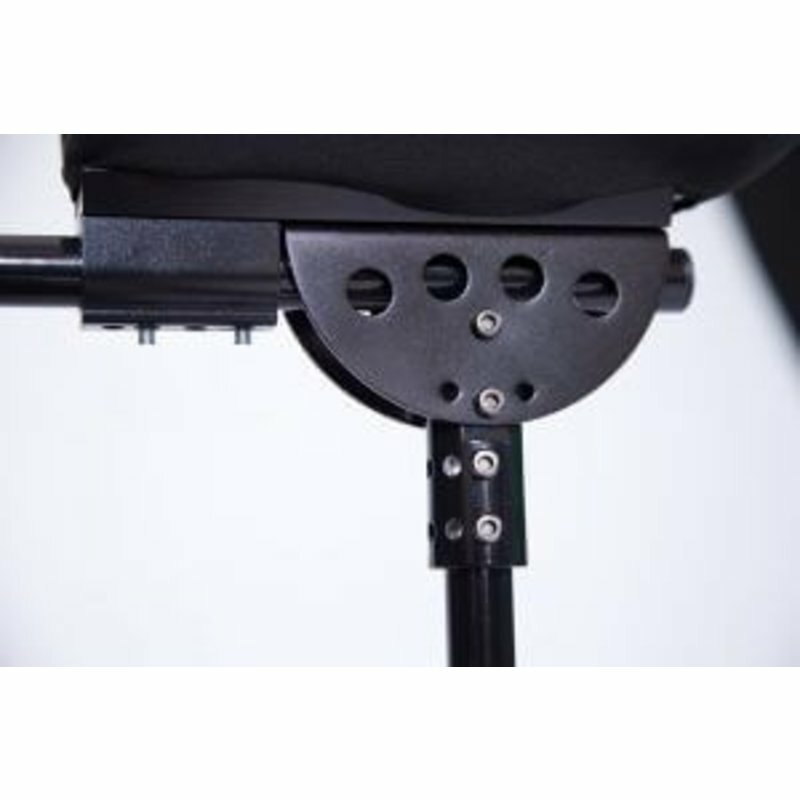 Arm platforms are highly adjustable for various arm positions. Squeeze one or both of the hand brakes to go and release hand brakes to stop. 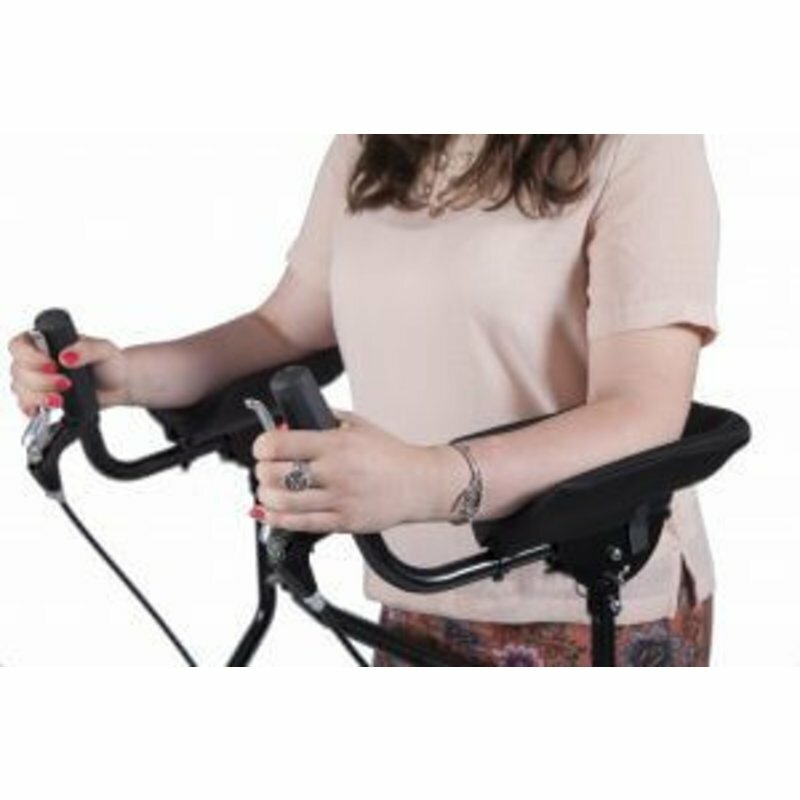 Our optional Laser & Sound Cueing Module is ideal for those with Parkinson’s freezing. Reverse Braking System: The innovative braking system is easy to use and puts you in complete control. The U-Step will not roll until you lightly squeeze either hand brake. Once you release the hand brake, the unit will stop immediately. This feature is particularly helpful when standing up from a chair because the unit will not roll away from you. Clinically proven to reduce Parkinson’s freezing and falls. The Laser & Sound cueing module can help get you started, normalize your walking and increase you stride. Press the red button on the module to project a bright laser line on the floor to guide your steps. You can also turn on the sound feature to set a beat pattern for maintaining a steady walking speed.